Christian Karlson Stead is a New Zealand writer whose works include novels, poetry, short stories, and literary criticism. One of Karl Stead's novels, Smith's Dream, provided the basis for the film Sleeping Dogs, starring Sam Neill; this became the first New Zealand film released in the United States. Mansfield: A Novel was a finalist for the 2005 Tasmania Pacific Fiction Prize and received commendation in the 2005 Commonwealth Writers Prize for the South East Asia and South Pacific region. C. K. Stead was born in Auckland. 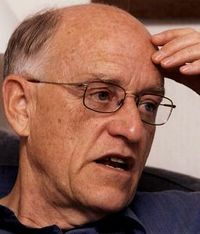 For much of his career he was Professor of English at the University of Auckland, retiring in 1986 to write full-time. He received a CBE in 1985 and was admitted into the highest honour New Zealand can bestow, the Order of Christian Karlson Stead is a New Zealand writer whose works include novels, poetry, short stories, and literary criticism. Is this you? Let us know. If not, help out and invite C.K. to Goodreads.